Most people download online videos via URL link. As long as they can locate the URL, they can use professional video downloader or online tools to download what they love. But it will be a bit difficult to convert link to mp3. The good news is that there are different applications that will let you do this. Most popular video sharing sites like YouTube, Dailymotion, Vimeo and Metacafe contain a multitude of music resources. In this way, you can directly convert video link to another format that you like including mp3. One of the tools that you can use for this is Video Grabber. This is an online application that let you download videos on most videos sharing sites. To convert link to mp3, click the Video to Mp3 tab on the page. Paste the URL on the blank field and click the convert button. Aside from converting videos to mp3, it also has other options that you may find useful. You can download videos from video sharing sites by clicking on the grab online video option. Also, it is possible to convert videos saved on your computer to other formats aside from mp3 by clicking on the convert video file tab. There are protected video sites like MySpace, MTV, Yahoo Music Video, VEVO and OVguide that prevent direct downloads of videos with the traditional methods. However, if there is a link that you want to download from these sites, you can use Video Download Capture. This will let you download and convert videos even from protected video sites. Open the application, and click Advanced Video Detector. As soon as you paste the URL into the built-in browser, it will be added into download list. The downloaded file can be converted into mp3 by right-clicking the Add to convert button. You can also use this to convert YouTube link to mp3, as well as links from sites that are not protected. It supports wide range of formats including AVI, MKV, MP4, WGP, FLV, HTML 5 and more. Moreover, the app comes with a built-in media player so you can use the application for viewing downloaded videos, as well as those that are saved on your computer. For some best streaming music services like Pandora, Deezer, Grooveshark and Last fm, you can record them directly using Streaming Audio Recorder, as long as you can open the main link. 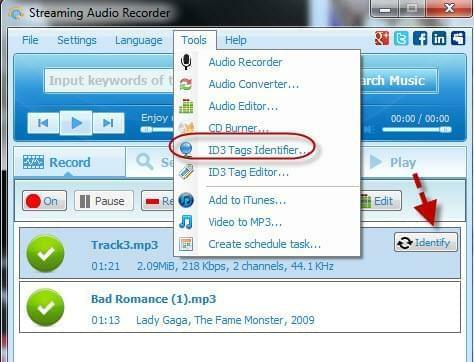 After recording, you may use ID3 tag tool to identify the music track information in bulk. This is convenient as you would have the information on the tracks that you downloaded without having to search and type them manually. This is not just a link to mp3 converter, it can record any sound playing on your computer whether it is from a website or from a file saved on your computer. If you have a microphone attached on your computer, you can also record captured sounds or your voice. If you want to record what’s playing on your computer and your voice simultaneously, this is also possible. Aside from mp3, it also supports conversion of files to other formats including WMA, WAV, OGG and AAC. 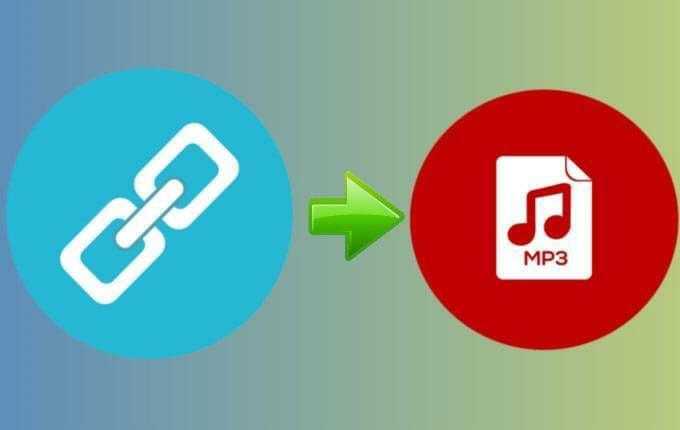 Downloading and converting a link to another format like mp3 can be done using these tools depending on your needs and preference. 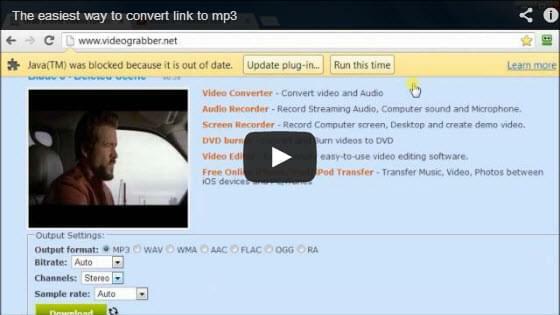 If you want to process link to mp3 from sites like YouTube, Video Grabber is a good option. 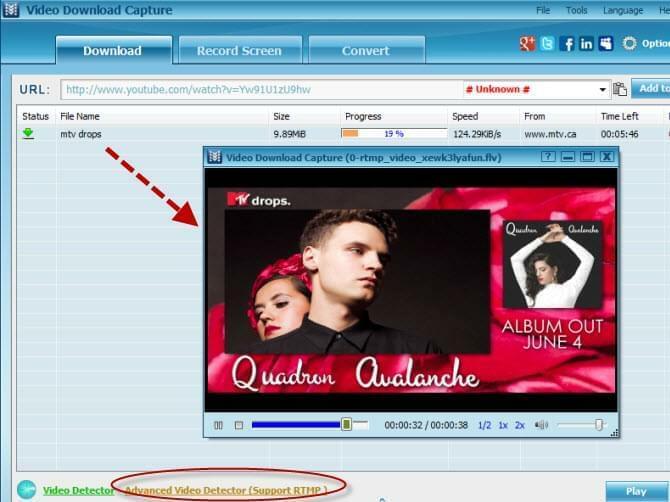 If you want extra features and you wish to convert videos from protected sites, Video Download Capture is the perfect application. If you want to record any audio playing on your computer or sound captured by the microphone, use Streaming Audio Recorder instead.